Earlier today, Wayne Coyne revealed that The Flaming Lips will be releasing their new album The Terror on April 1st, through Warner Bros and Bella Union. Fans were treated to a shiny new album cover, and the announcement of the February release of a bonus track titled "Sun Blows Up Today." To celebrate this fantastic news, we assembled five of their legendary album covers and rated them according to their graphic design. The album cover that contained the infamous warning label urged listeners to use as many as four compact disc players while listening to this "unconventional" recording. The overlapping discs on the cover graphically represented the intermingling of musical elements. Beware of disorienting frequencies! 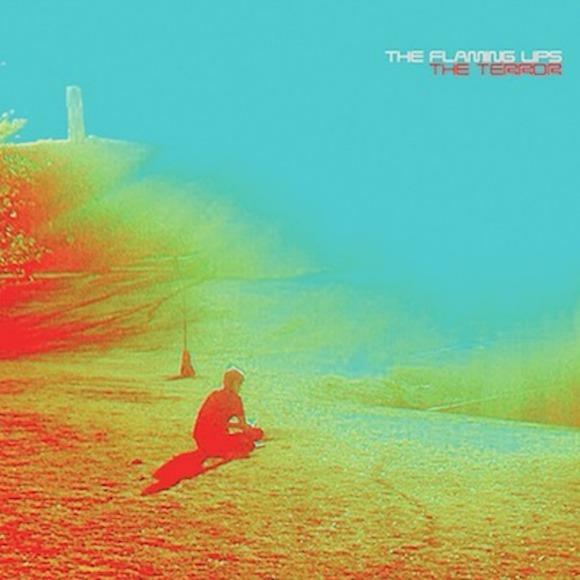 The most recent release from The Flaming Lips was a departure from their previous material and as a result, it took on a character of its own. Decidedly larger in scope than their previous releases, Embryonic was the sonic equivalent of tasting chocolate for the first time. It was a moment where fans could rediscover this band, and that was reflected in the startling imagery of the cover. One of the first memorable Flaming Lips album covers, Hit to Death in the Future Head took on a Buzzcocks-esque style with fonts and coloring. Who could forget that polka-dotted toilet either?! As their sound progressed, The Flaming Lips began utilizing increasingly complex graphic art to accompany their albums. Textured oil paint, vibrant yellows and splatter give this cover immediacy. The urgency and layers presented on the cover gave a small taste of the epic soundscapes that listeners would find in the songs. Unmistakably one of the greatest album covers since its release, if not of all time. Yoshimi Battles The Pink Robots was a noticeable advancement from the band's previous release, The Soft Bulletin in terms of aesthetics and production. The album featured lush sounds and represented commercial acceptance for the band. The iconic cover depicts a small girl with funny hair doo-dads standing at the feet of a large and threatening, yet cartoonish, pink robot. Where do you rate The Terror among their greatest album designs?